Researchers have developed a new non-invasive imaging technique for diagnosing COPD. The technique can help clinicians diagnose patients earlier and ensure they start treatment when it is most effective to slow the progression of the disease. Chronic pulmonary obstructive disorder (COPD) is a disease that involves damage to the small airways in the lungs called bronchioles, which affect lung capacity and the ability of the body to absorb oxygen. COPD is used as a blanket term covering emphysema, chronic bronchitis and refractory (non-reversible) asthma. COPD is ultimately fatal and is the fourth highest cause of death in the United States, affecting appropriately 16 million Americans. Early intervention, lifestyle changes, and medications can be used to slow the progression of the disease and manage symptoms; however, diagnosis is usually only made in the latter stages of the disease when symptoms are experienced. 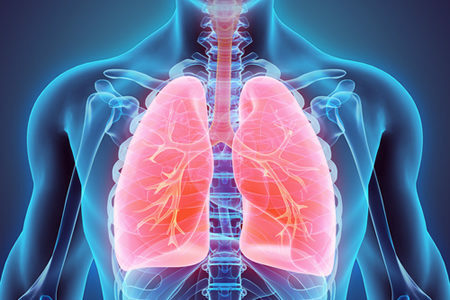 There are various techniques that are currently used for diagnosing the disease, most commonly pulmonary function tests such as spirometry to measure the lung capacity. Computed Tomography scans can be used to diagnose emphysema, although the resolution of CT images is not sufficient to detect damage to the bronchioles, which are only around 2mm in diameter. To develop the technique, the researchers analysed 33 lung tissue samples from 11 patients who had been diagnosed with COPD and 22 samples from three healthy patients. The lung tissue samples were mapped to CT scans taken prior to lung transplant surgery. The technique was shown to be effective at identifying damage to the bronchioles and narrowing and obstruction of the of the airways. The technique is already being used by Michigan Medicine to diagnose patients believed to have COPD. The study was conducted on patients with a severe form of COPD, although a separate study used the technique on patients with only a mild form of the disease who can be expected to lose lung function as the disease progresses. By using this technique to diagnose COPD earlier, treatments can be started at the time when they are likely to be most effective and the lives of patients can therefore be extended, and quality of life can be improved. In patients with mild COPD, the technique cannot determine what form of the disease the patient has but the team is working on techniques that will allow smaller amounts of lung tissue to be studied which will make further studies more feasible. “The refinement of this and similar approaches could also advance the study of COPD at its earliest stages of development,” said James Kiley, Ph.D., director of NHLBI.